On my way home from a great Aluminium2000 congress with a lot of good and inspiring presentations - also a lot of talks and discussion about secondary aluminium and how we can use more of the recycled aluminium and how we can obtain a quality anodised layer. 9 years ago I wrote the first post about The good and the bad about recycled aluminium. Since then recycled aluminium has become a hot topic and this year´s Aluminium - World Trade Fair in Dusseldorf - Aluminium 2018 has dedicated a lot of energy into this subject. A short informative note about challenges, mentioning that there are no qualitative differences between aluminium alloys made from the primary and those made from recycled aluminium. Is this always true - not really, especially when looking at the result obtained when anodizing aluminium. So it should not be difficult to use more recycled aluminum for anodizing. It only requires a minimum amount of adjustment to arrive at the present alloy composition, which works well for anodizing. So this should not be the reason for not using recycled aluminum when anodizing. From an environmental viewpoint, anodizing is a very unique process. It does not require the use of organic solvents, which may cause unwanted atmospheric emissions and the amount of sludge can be diminished by using new processes as the acid etch. Finally anodized extrusions and castings can be readily recycled without the need for special emission control equipment, so no VOC or other hazardous chemicals are emitted to the air. 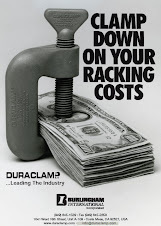 If sealed in hot water the wear resistance will decrease with 20 - 50 % depending of the sealing process used. 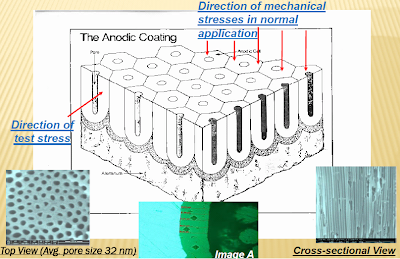 Due to my presentation at 17th Technical Symposium in Seattle about the History of Hard Coat - Hard Anodizing I am about to refreshing my previous posts with new links and more information. 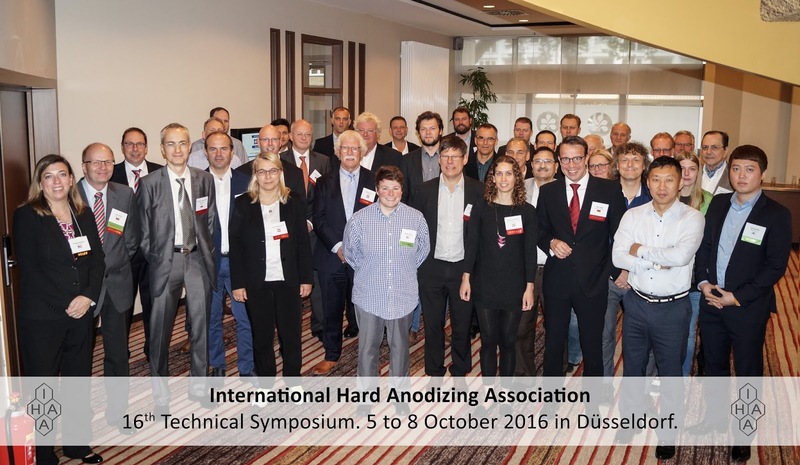 The Hard Anodizing Symposium will take place in the middle of September, the International Hard Anodizing Associtations webpage for more information regarding the Symposium and the people registered so far. Come join the International Hard Anodizing Association 17th Technical Symposium in Seattle and get a lot of new knowledge, network and talks about hard coat / hard anodizing. Photo from last Symposium in Dusseldorf, 2016. By the end of May 146 people from more than 20 countries from all over the World were gathered to the 8th Aluminium Surface Science & Technology Symposium in Denmark – www.asst2018.com. Since its first edition in 1997, the mission of the symposium has been maintained intact: to create a high-level international platform where science meets the industry. To do so, the symposium offers a very nice environment for a mixture of academics, PhD students and industrial colleagues. The venue this year was set at the beautiful coast of northern Sealand – Elsinore in Denmark at Hotel Marienlyst. The 8th Aluminium Surface Science and Technology Symposium follows the previous years’ symposium at 2015 (Madeira, Portugal), 2012 (Sorrento, Italy), 2009 (Leiden, The Netherlands), 2006 (Beaune, France), 2003 (Bonn, Germany), 2000 (Manchester, U.K.), 1997 (Antwerp, Belgium). The Symposium series has been a unique and key event on aluminium surface science and technology bringing together industries, universities, and research institutions involved with aluminium. Today the ASST symposium has become a common platform and net-work for aluminium surface science and technology in Europe and the rest of the world. This time gathering aluminium surface science people from countries like Germany, France, Japan, England, Alger, China, Belgium, Brazil, Denmark, Korea, Australia, Sweden, Norway, The Netherlands, Italy, Portugal, Spain, US, Chile and Poland. The goal of the Symposium is to offer the participants a high-level meeting with attractive presentations and an interesting social program. You can read the whole summary when the August number of Light Metal Age are on the street, or check back to see the upcoming posts regarding some of the presentations.